The challenges our customers increasingly face include increased manufacturing complexity, shorter lead times, variable product demand, seasonal demand cycles, reducing inventory levels and increasing cost pressures. Managing their own end-to-end logistics adds to this complexity and takes focus of their core activities. 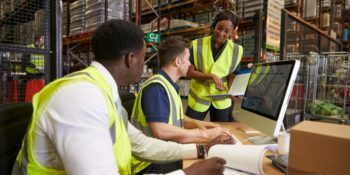 Abbey’s end to end logistics services ensure that our customers’ supply chains are performing to their optimum by managing every aspect from demand planning, stock control, vendor managed inventory to vehicle and asset cleaning and maintenance. 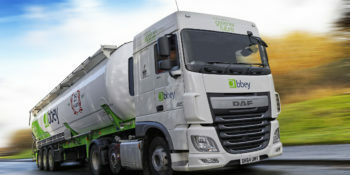 Under Abbey’s management we can deliver measurable cost savings, improved service, less empty miles, full visibility of stock, reduced inventory levels and improved order fulfilment capability. This is all supported by a suite of KPI reports that demonstrates how your supply chains are performing in real time at any time. As the UK’s largest food tanker business and leading transport provider in other sectors such as minerals, animal feed and non-hazardous products, we work with our customers to get to know their business and devise a tailored solution design to address their own specific challenges. The result is a stronger, more efficient, high performing supply chain that lets our customers focus on their core business instead of daily transport tasks and the associated resource, cost and time. Our ability to customise and deliver a solution that addresses each customer’s specific requirements makes Abbey a true extension of our customers’ business and ensures we are both on the same side, working towards the same goals of optimisation, efficiency, continuous improvement, and high performance. Multimodal options through ISO tank containers or IBCs. Single point of contact for all supply chain enquiries.